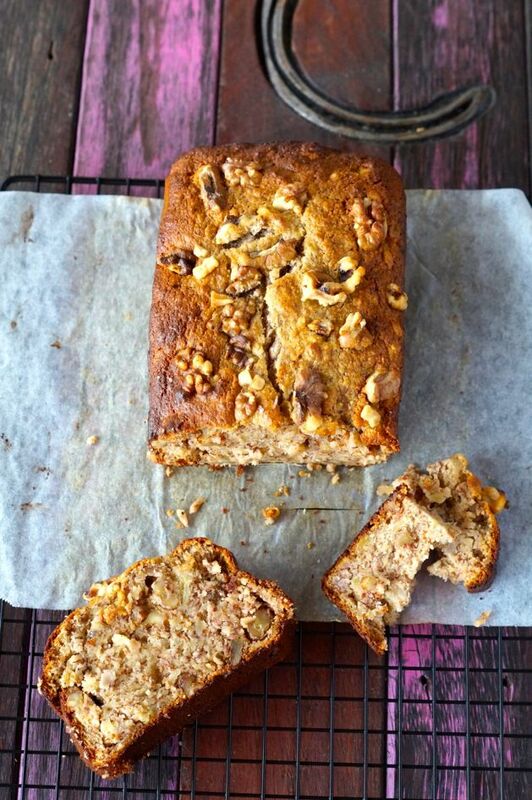 The BEST Paleo Banana Bread That We Have EVER Made! Merrymaker Mum’s BEST Paleo Banana Bread. 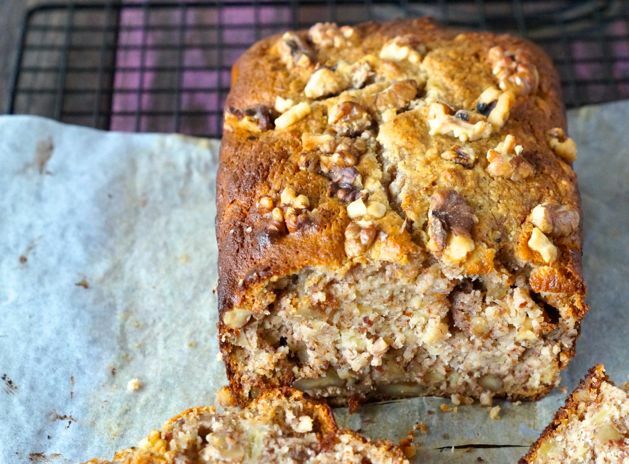 That’s right… we’re claiming that this is the BEST Paleo Banana Bread EVER… well, that we’ve tasted anyway! Yay! Yum! We think you’re going to love it too! Yep! That means gluten free, grain free, dairy free (if you swap out the butter! 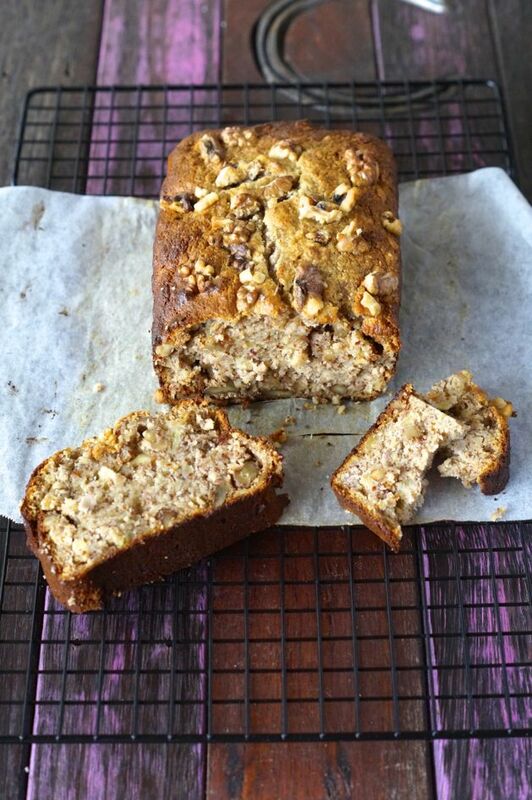 ), refined sugar free banana bread! Taste free? Na-uhhh! Taste FULL! It’s all thanks to Merrymaker Mum – seriously, she makes the BEST paleo sweet treats. It’s SO good that we even featured it in our brand new book: Make It Merry! Over 70 nutritious, quick and easy recipes to make you feel and look your best! Yahoo! Seriously, we’re PUMPED for this book! If you haven’t got your copy yet… then you should because then you can enter our $4500 giveaway! YAY! To make this paleo banana bread all kinds of crazy yum, whip up a batch of our sugar free chocolate and drizzle on top… oh. My. Food! Made it? Loved it? Yay! Share a photo on Instagram using #themerrymakersisters so we can share it with the whole wide worrrrrrld! In a mix master cream the butter, eggs and vanilla. In a large bowl mix the almond meal, walnuts and baking powder. Add the butter mixture and mashed bananas and stir until combined. Transfer mixture in to prepared tin, sprinkle with extra walnuts and place in to the oven for 50 minutes or until it springs back when you lightly touch the top. Allow to cool before you turn out, slice and serve!